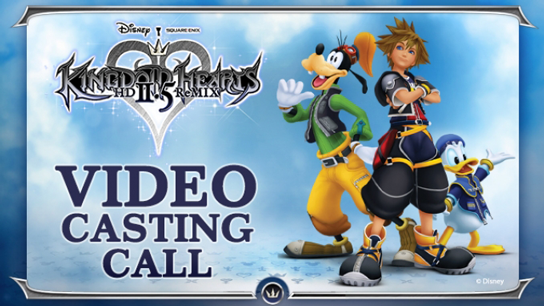 The filming location will be in the Greater Los Angeles Area on September 6, 2014 between 10am to 7pm and you will be able to be filmed with the official Kingdom Key! 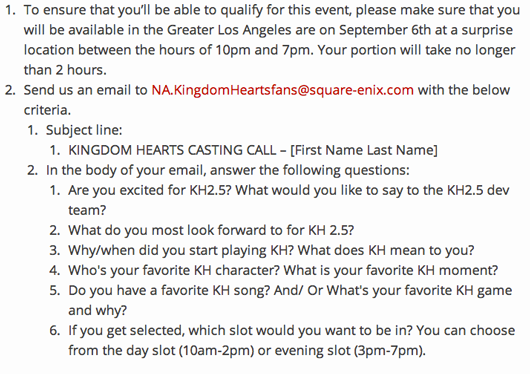 Square Enix will then notify you if you’ve been selected. Good luck to all those who participate!